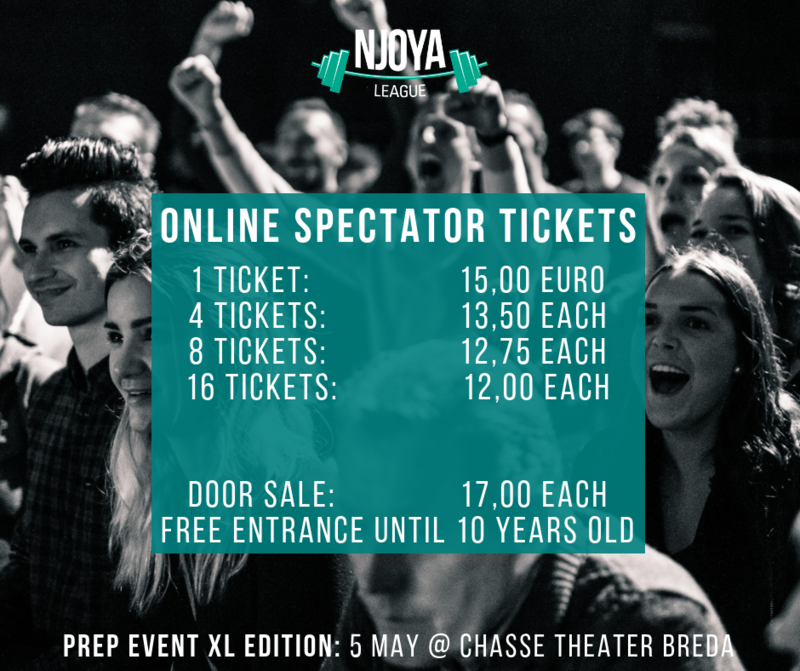 This year “Njoya League Prep event: XL edition 2019” is in Breda. Directions: This is your E-Ticket (s), ==> Print the e-ticket (PDF) or take it digitally to the event. This is the admission ticket at the entrance of the event. Without this admission ticket, you will be refused entry to the event. We wish you a great event! Location: Claudius Prinsenlaan 8, 4811 DK Breda, Nederland Sunday: 05-05-2019 Start 10.00 hr Njoya League Prep event: XL edition 2019 Responsible event: www.njoyaleague.nl Any questions or comments about your E-Ticket? Then contact "ABC Ticketservice"
Your favorite team needs your support at the first Prep event XL edition! You can buy a single ticket or buy a group package with a 10-20% discount. Younger fans have free entrance until the age of 10 years. Abc Ticketservice is the commercial name of Prompt bvba. Prompt bvba is the responsible publisher of ABC tickets. You can reach us through the information below.